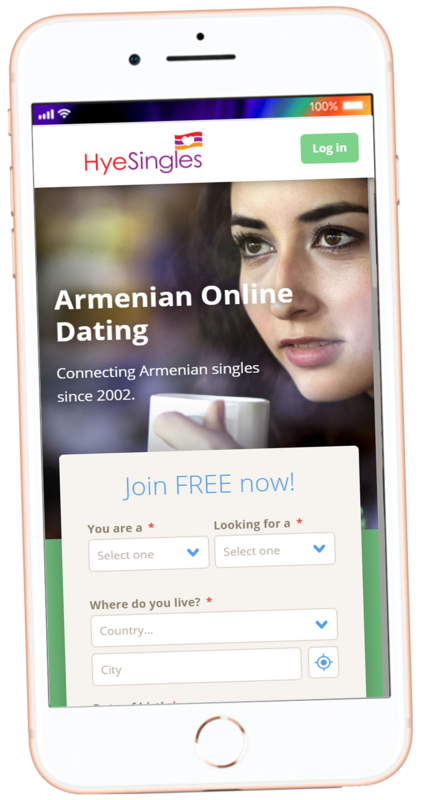 Connecting Armenian singles since 2002. We are honest with you--we know that your results depend on what you put in. When you enter this experience with an open mind and an open heart, magic always happens. We attract what we extend out into the world. Our site is amazing, however it cannot replace the key and necessary element to the results you seek--a willing you. Our staff are loving human beings dedicated to supporting your best experience on the site. Our CEO will even personally help you make a powerful first impression. All the robots and fancy machines work for you. We love stepping down from our robots to lend a helping, human hand. The people who join our site are like you and tend to want a little more than just swiping left or right. We focus on helping you make real connections based on how you feel; our tools are designed to support your intuition. We don't take ourselves too seriously and we've created a space that is fun, safe and simple. As a Platinum member, not only can you chat with as many other members as you want, but Regular members can also reach out to you to chat. We actually make it easy to talk to the people you like. You can search within your specific community, or expand you search to World+™, giving you access to members from all World Singles sites. It may be a little romantic but we think that love is the most powerful force in the universe. It is the reason behind everything we do and want in life. And we know that by helping people connect in more powerful ways, we can transform the world. We see love as fun, vitalizing, illuminating, and a great way to learn more about ourselves and our heart's true desires. Think with your heart and join now. Our approach, networks, and team have been honed by over 17 years of successfully helping millions of people all over the globe, in multiple languages and cultures, connect and find love.